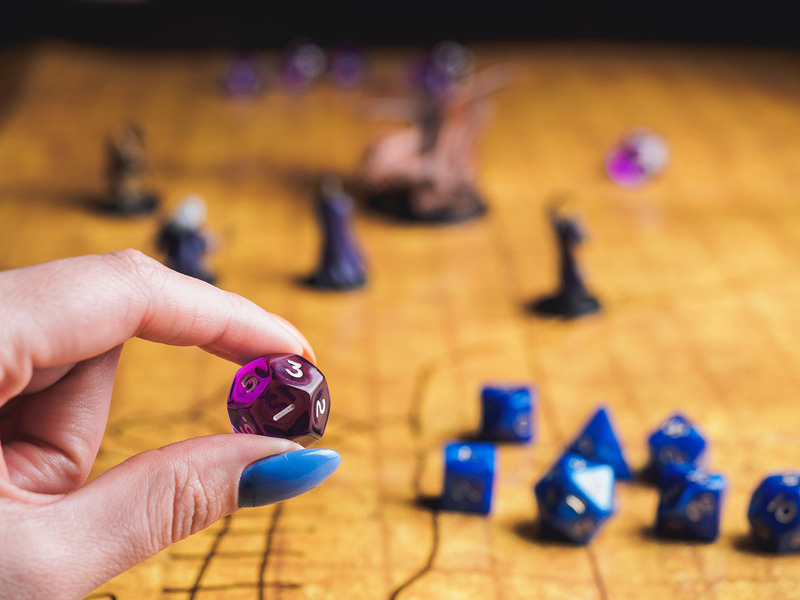 The ultimate tabletop game, Dungeons and Dragons, is having a major popularity boom at the moment. Like so many others, if you are just learning how to tackle the tremendous world of Dungeons and Dragons with your friends or in a DnD club, the size, scale, and complexity of the game can feel overwhelming. As a longtime DnD gamer, I’m here to tell you that there are plenty of tips and tricks that can help you master Dungeons and Dragons! In fact, I’ve got 25 of them right here! If you haven’t read Parts One and Two, check them out now. If you’re all caught up, here are my final tips and tricks that will turn you from a novice into a full-fledged gamer! Spells in Dungeons and Dragons can be both powerful, and complex. They often have distance restrictions and other specifics having them close at hand for both the players and the Dungeon Master is awesome. While I keep mine in tabs online, there are also DnD spell card packs. You can alternatively write them on index cards. Perfect for gear and special items as well. Don’t be afraid to use online tools like Discord, DnD Beyond, or Roll 20. These tools can be useful for in-person games and can make games possible for out of state friends. My own team chimes in from several different states. Roll 20 is great for maps and even has an in-game dice roller, so everyone can see the result. This tip comes from my teammate and longtime player Sydney. Dungeons and Dragons nights can be pretty long, especially during unexpected story twists or exciting battles. Be prepared to settle in. “Get comfy, whether it’s clothes, friends, or a good drink,” she says. Sessions lasting 2-3 hours are typical and some can last 4-5! You can also tell your party and DM that you’re stuck and brainstorm together from there. If you as a DM think your party is stuck or just not getting the clues, don’t be afraid to introduce more clues that are more straightforward. Perhaps a key member of the bad guy’s team switches sides, maybe the party finds letters that help spell it out. There are lots of ways to point in the direction of the story. Keep in mind, however, that players can and will derail the entire plan. Dungeons and Dragons becomes a communal story, and as any story, it soon has a life of its own. The player characters WILL do something entirely unexpected, go through plotlines out of order, and even have reactions the players themselves are surprised by. To combat the unexpected, try to have some back-up “plan B” plotlines. For example, the party kills a key member of the plot early, well… maybe now they find key pieces of information on the leader’s plot or keys to hidden locations. Maybe that person is revived by magic later on & now has a personal vendetta. Also, feel free to throw barriers in the party’s way. Say they went sideways instead of forwards and then BAM – they serendipitously locked a magical door. They can either examine it giving you some time to think or they may mark it for later and continue forwards on the planned route. Don’t be afraid to augment the maps or areas the party is traveling through on the fly. Say the party just rolled REALLY badly on the little guys and they are not prepared for the more dangerous monsters you’ve set up. Don’t be afraid to add rooms or chests or healing plants to the area giving them a chance to rest and recover. For players, if it seems to be taking a heavy toll, don’t be afraid to set up camp for a long rest or leave the area and come back. Also, try doing checks to find hidden passageways or secrets. If you roll high its a great excuse for the DM to add some extra gear. Althea once found 5 gold in a cave’s river due to a Nat. 20. Whether as a DM or a player, try to describe things using the 5 senses. Paint a picture with smells, tastes, temperatures, and sounds. It creates a stronger picture and a much more memorable moment to see a lump of flesh and metal on the ground. This is especially true if that lump shudders with every wheezing breath. As a player, you can tell the DM you touch the man’s cheek gently and speak in calm words while the healing spell washes over him in a cool tingling wave. 24. It’s Just a Game! Yes, you will spend hours of time developing your characters, bonding with your team, and learning the ins and outs of the game. Because Dungeons and Dragons has a talent for sucking players in, it is not uncommon that your daily thoughts will turn to DnD strategies, funny moments, and stories. You may also fixate on another gamer’s actions. At the end of the day, the happiest gamers don’t take what happens on game nights home with them. Remember that your friends are still your friends, even if they just betrayed or screwed you over in the game. If you ever want to chat about Dungeons and Dragons, find DnD books, or other Dungeons and Dragons accessories, your local Bookmans store is the place to be! That’s it! Hopefully, these tips are helpful and will give you some strong foundational knowledge. There’s a lot of information out there about DnD, and sifting through it can be daunting. Don’t let that scare you though. This game is truly one of the most soul feeding experiences I can think of. If you have any tips feel free to share them below!